“It’s been a massive undertaking, but it’s coming together,” said Brenda Cossman during the lead up to the World Pride Human Rights Conference that took place at the University of Toronto on June 25–29. As director of the Mark S. Bonham Centre for Sexual Diversity Studies and co-chair of the conference, Cossman has been at the head of the exhausting project of organizing the most extensive human rights conference in the history of Pride. To the Bonham Centre and many other community organizers and advocates, the Human Rights Conference provides an opportunity to reorient the event’s focus onto political and human rights issues. Calling it “a party with a purpose,” Cossman commented that she felt there was a real need to put human rights issues faced by Canadians on the agenda, as well as discussions of being an ally to higher-risk queer communities worldwide. As Crossman explained, InterPride — the organization behind World Pride, the world’s largest public celebration and demonstration for LGBTQ+ rights — requires that a conference on human rights take place in the host city as part of the event’s proceedings. WorldPride is a relatively new event, with Toronto hosting only its fourth iteration since its establishment in 2000. Organized to mark the anniversary of the Stonewall Riots, Pride began as an activist and political movement in demonstration of LGBTQ+ issues, rights recognition, and visibility. At the reception for the Human Rights Conference, hosted by Innis College, InterPride co-president Sue Doster mentioned that she saw this year’s festival as an indication of World Pride coming into its own; the first event of its kind to start on solid footing and receive as much community support as they saw necessary for an integrated festival. At the reception, Janet Patterson, principal of Innis College, and Ennis Blentic, associate director of advancement, commented on the high degree of inclusion and international representation that they saw reflected in U of T’s participation in the event. Considering it an extension of the philosophy of U of T, Patterson and Blentic see Pride Toronto and the conference as a way of connecting U of T to the goings-on of Toronto and of the world. “To bring the university to the city, the city to the university — this is a perfect testament to that,” said Blentic. Blentic and Patterson both commented on the wider implications of such an international gathering, not just for Toronto but for U of T as well, noting that 25 per cent of students at Innis College alone are international students. 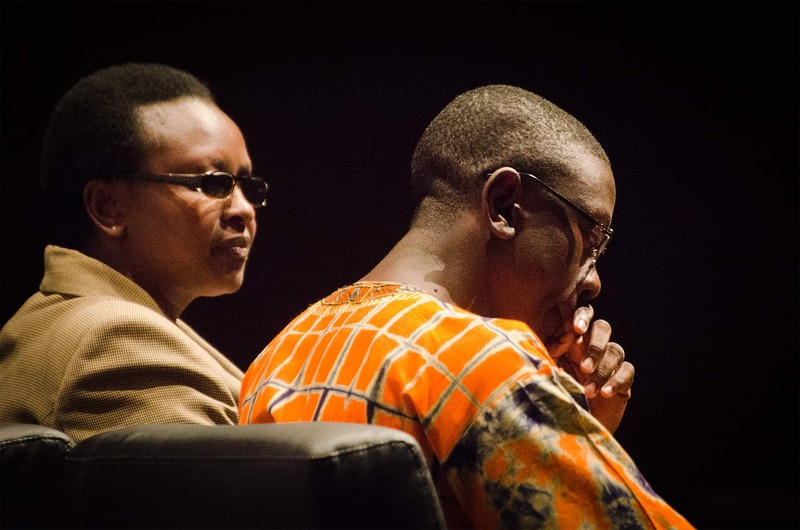 Ugandan activist and global human rights advocate Frank Mugisha, echoed the sentiment while speaking at a public plenary on Thursday. In conversation with some other members of Sexual Minorities Uganda (SMUG), he remarked on the sense of community and connection he had felt so far. Doster noted that this is the first occasion where Pride has partnered with a university to pull off the conference. “I think that decision to really partner with someone put everything into the human rights conference that it really deserves. It’s key,” said Doster. Through consultation with U of T and other organizations in Toronto, the Bonham Centre submitted a bid to participate meaningfully in World Pride, pulling together a massive conference despite their small team — the Bonham Centre has only one primary full-time staff member, though they have enlisted volunteers with a large student contingent. The centre, and the university by extension, played a key role in the organization and execution of this conference for the past two years — from booking the spaces, to developing the program, to procuring visas for international speakers. Pride Toronto, led by Kevin Beaulieu, was involved in much of the decision-making process around the conference. According to Beaulieu, however, the Bonham Centre and U of T largely took the lead on the event, providing fundraising and pulling together a volunteer team. David Rayside, a former director of the Sexual Diversity Studies program and the Bonham Centre, described the extensive student involvement in pulling off the conference, through the work of graduate students at the Bonham Centre, work-study students at University College, and the efforts of the volunteer team. “The amount of support we’ve received from the university has been moving,” he added. The speakers at the conference addressed a broad range of issues facing LGBTQ+ people worldwide, including criminalization, aboriginal rights, trans rights awareness, immigration and refugee status, marriage equality, education access, youth issues, and questions of intersection. Three public plenaries, which took place on June 25, 26, and 27, featured conversations with major academic and political figures worldwide. At Wednesday’s session, former Prime Minister of Iceland Jóhanna Sigurðardóttir and her partner Jónína Leósdóttir told their story of entering the public and political eye as a lesbian couple, and spoke of the necessity of understanding queer rights as human rights. They were followed by a conversation between Harvey Brownstone, the first openly gay judge in Canada, and Edith Windsor, whose lawsuit against the American government was instrumental in striking down the Defense of Marriage Act in the US. Windsor spoke enthusiastically and simply, touching on a number of topics in recounting the process of her lawsuit, and the changing backdrop of the queer rights movement in the US from Stonewall to now. Mbaru, one of the most eloquent speakers at the conference, underlined what she saw as a need to reflect on and “reclaim” the traditional spaces for queer individuals in African communities. She also emphasized the value of offering concrete help for refugees through education: “without papers, you are lost,” Mbaru said, stressing the role that Canadian educational resources can play for queer Africans. Throughout that conversation, much attention was paid to the ways Westerners can support Ugandans and Kenyans in homophobic communities, from broadening access to refugee programs, to simply raising awareness for individual activists in situations of danger. The final session of the conference took place on Friday. The conversation was split between Jian Ghomeshi and Masha Gessen for the first hour, and Tamara Adrían for the second. Gessen, a Russian journalist in exile fleeing homophobic repression, spoke about her understanding of these laws and their impetus, and the opportunities Western countries and corporations missed to speak out during the Sochi Olympics. Adrían, the Trans Chair of the International Lesbian, Gay, Bisexual, Trans and Intersex Association (ILGA) and a spokeswoman for trans and women’s rights in her home of Venezuala, spoke of a need to normalize and consciously engage with the trans community. “For us, there are no closets,” she said. Cossman wrapped up the conference with a final speech, echoing her initial emphasis on drawing more attention to the steps Canada needs to take forward at home, as well as making conscious, constructive efforts for queer rights around the world. “To build a global human rights movement,” she said, “we have to listen to each other even when what we’re hearing is hard.” As a “party with a purpose,” the conference has given Pride the opportunity to do just that.